1-year MBA programs in India, aimed at those with a number of years of work experience, could prove to be confusing for the aspirants, mainly due to the lack of information available about them. Mohil Mittal, an alum of IIM, Calcutta, seeks to answer the several queries that pop up in the minds of applicants to the various 1-year management programs in the country. Seeking guidance, I connected with people in my network, who have already undertaken this journey. But the current students were tight-lipped by Non-Disclosure Agreements with placement offices and the older alumni were heavily prejudiced based on their placement experiences. Google know-it-all was silent over the current state of one-year MBA programs. The search results only confirmed the existence of one-year MBA programs, but I could barely find an honest piece of critique on career prospects of one-year MBA programs in India. Even to this day, the much sought-after guidance note does not exist. I learnt it the hard way by giving plenty of moolah when I could have got it for free. So, I thought of writing this article to answer those nagging questions, which routinely bother many. This article is not a comparative statement of different colleges offering one-year MBA programs. Its purpose is plain and simple: to help you make an informed decision before joining any one-year MBA program in India. Is ISB truly in the same league as other one-year MBA programs? Definitely not. ISB is uniquely positioned as it caters largely to MBA junta who are seemingly over-experienced for a regular 2-year MBA and do not qualify the experience threshold of 1-year MBA programs. However, given its strong market presence and pull factor, ISB does not shy away from luring candidates with experience over 5 years. ISB’s flagship program is considered at par with the other two-year MBA programs by the industry and the market alike, and a comparison with one-year MBA program offered by IIMs is erroneous. Would a one-year MBA program set you for life? I think MBA is a must for anyone who wants to work on the business side, as it exposes one to a whole lot of new disciplines and avenues unheard of. There is so much more to business than one can imagine, and it is important to have a bird’s eye view of things before one ventures back in the professional setting. The focus of this one-year should be to maximize one’s learning and to relate with the work experience. This is a must-do to reap the true benefits of this program. A one-year MBA simply cannot put one on the path of success, but it eases one’s ride in the corporate world. Another important aspect of one-year MBA is peer learning which is seldom realized to the full extent. I strongly feel it can work wonders if one engages with a variety of people in the batch. The output of these discussions has helped many to shape & switch their careers. How are the placement opportunities at the one-year MBA program? 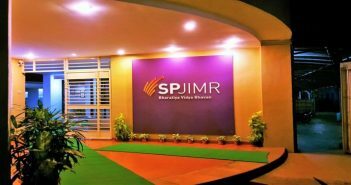 Sadly, the placement opportunities through campus are limited in comparison with a regular two-year MBA program and one should not rest his/her decision of joining any MBA program solely on placement figures. Your idea of doing MBA should be grounded in this reality to help you remain free of any confusion. Luckily, there is a wide, open job market out there which can be targeted once you are an MBA. So, don’t view the campus placements as the holy grail of a successful mid-career start but as a platform for a long-term success. Interestingly, the roles offered in campuses are not significantly different from the ones listed on job portals. However, you should do your bit and continually work on networking and building your resume and the best time to start working on these factors is now. I cannot emphasize enough on the importance of weaving the right terminology in your fabric of experience. IT: There is lot of demand for middle-level managers in IT firms especially in areas like Analytics, Cybersecurity, Consulting and they are inclined towards hiring from one-year MBA program. Importantly, they are agnostic of one’s background and ready to give a chance to people from traditional industries that have a proclivity towards technology. Operations: Opportunities for operations related profile are limited to service-based industries/start-ups with little participation from conventional manufacturing companies. The packages offered are relatively less. FMCG companies are not keen on hiring experienced candidates from non-FMCG companies. Consulting: The big consulting companies M/B/B are averse to hiring experienced professionals and thus mostly shy away from one-year MBA programs. Big 4 audit firms are open to candidates for domain-consulting roles. Finance: Conventionally, there are very limited candidates with a finance background who join one-year MBA programs. Marketing: There are a lot of opportunities for BD/Sales roles for candidates with relevant experience. Product management and market research roles are rare. Who should opt for the one-year MBA program? A simple test: If you can successfully change your job at this point in your career without an MBA degree, MBA is surely going to make you more employable and is a right value proposition. Those who don’t qualify the above test would find themselves stuck in their job. MBA can be a wise escape, but it is would mean a lot of hard-work and directed efforts to make career amends. It is surely not meant for weak-hearted. If you yearn for knowledge and have little or no self-doubts, you would do great as an MBA graduate. This one-year is surely going to change your outlook and make you more perceptive. The best time to obtain a one-year MBA degree is right once you are eligible to apply for it. The basic reason is the pre-MBA experience is heavily discounted in comparison with post-MBA experience. Lesser the experience, better are the job prospects as companies are favourably inclined towards hiring lesser-experienced candidates. 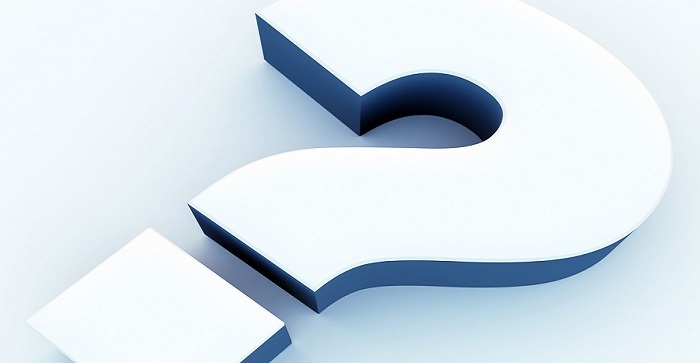 Why it makes no sense to compare one-year MBA programs with two-year MBA programs? Both the programs are different in every sense. A regular PGP is targeted towards students who are yet to set feet in the corporate world. Companies can very well prime them to their requirements and effectively deploy them. Two-year MBA programs have proliferated in the last two decades. Some institutions, including IIMs, have been running it for over 50 years now. They have been churning out bigger and bigger batches every year. Just imagine the alumni base, the foothold they would have in the corporate world. The complete job industry is aligned as per these programs because of their long history and sheer scale. The kinds of roles offered to PGP graduates by leading MNCs are curated to help these graduates grow to the helm. Compare it with one-year MBA programs which are barely one decade old and are offered in limited campuses. These programs are new in the market and are required to be marketed well both among the industry and aspiring candidates before they can claim their rightful position. How else did ISB-Hyderabad, established in the year 2001, become an acclaimed MBA institute in just 15 years?  A lot of hard work and coordinated efforts is required from the leading institutes of the country to highlight these programs effectively.  The alumni base of one-year MBA programs is meagre and initiatives would be required to bring this fledgeling community together. How else would you catch-up with somebody who has decades of head-start?  The placement process of one-year MBA programs needs a major overhaul to assess and find the right balance between the diversity of the incoming batches & standardization that can be achieved in the placement process. 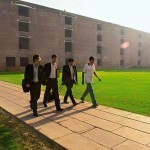 One-year MBA programs have a long way to go before they can make a significant mark in Indian higher education system. Till that time, it is best to accept them in their pristine form: management education. 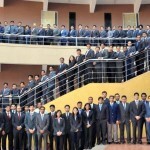 Contributing blogger: Mohil Mittal has completed his one year MBA (PGPEX) at IIM Calcutta. He has around 8 years of work experience in the Energy Sector. Mohil is an active sportsperson and keenly interested in Table Tennis, Badminton and Tennis. He loves reading thrillers and non-fiction books. He has recently started exploring the realms of mysticism and spirituality. One year MBA’s have got a better platform compared to 2 year MBA programs during their infancy period. Within decade they are leading institutes in global rankings and build global brand by getting accredition from leading accrediting agencies. Increased exposure to candidates as more institutes have now exchange programs with foreign universities and spending power of candidates have increased. More FDIs now than in last 50 years gives more visibility to these programs. My best guess would be, it would take quarter of the time for 1 year MBAs to match and exceed the status of 2 yr MBA.